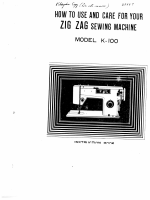 Children should be supervised to ensure that they do not play with this sewing machine. 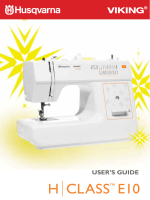 This sewing machine is designed and manufactured for household use only. machine from the electric outlet immediately after using and before cleaning. 2. Use this appliance only for its intended use as described in this ownerвЂ™s manual. 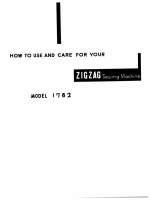 Use only attachments recommended by the manufacturer as contained in this ownerвЂ™s manual. it has been dropped or damaged, or dropped into water. sewing machine and foot controller free from accumulation of lint, dust and loose cloth. 8. To disconnect, turn all controls to the off (вЂњOвЂќ) position, then remove plug from outlet. 11. Always use the proper needle plate. The wrong plate can cause the needle to break. when making any other adjustments mentioned in this ownerвЂ™s manual. The design and specifications are subject to change without a prior notice. legislation relating to electrical/electronic products. If in doubt please contact your retailer for guidance. Turn the power switch off q.
Insert the machine plug w into the machine socket e.
Insert the power supply plug r into the wall outlet t.
Turn the power switch on q.
take-up lever, handwheel or needle. - When leaving the machine unattended. - When attaching or removing any parts. - When cleaning the machine. Sewing speed is varied by the foot control. the proper outlet. Do not modify the plug in any way. with this sewing machine (USA market only). The presser foot lifter raises and lowers the presser foot. to help you place heavy fabric under the foot. can be easily removed for free arm sewing. The accessories can be stored in the table. Pull the table away from the machine, as illustrated. the table snaps into the machine. pant legs or any other tubular garments. z Turn off the power switch. the needle clamp screw q firmly by turning it clockwise. needle onto something flat (needle plate, glass, etc.). should be consistent. Never use a bent or blunt needle. in knits, fine silks and silk-like fabrics. holder and push the presser foot to lock it in place. screwdriver and remove the foot holder. screw by turning it clockwise with a screwdriver. require a needle large enough to pierce the fabric without fraying the needle thread. special topstitching needle with a larger eye accommodates heavier weight thread. Insert the spool pin into the hole as shown. coming off the back of spool as illustrated. B: For a small spool, use the small spool holder w.
and remove the cover plate. x Lift out the bobbin. v Push the bobbin winder spindle to the right. few layers, and cut the thread close to the bobbin. wound, it will stop automatically. from the bobbin winder spindle. between the tension spring blades. into notch e. Pull out about 6Лќ (15.0 cm) of thread. referring to the diagram r shown on the hook cover plate. * Raise the presser foot lifter. off the back of spool (refer to page 18). the thread down around the check spring holder. take-up lever, and down into the take-up lever eye. lightly with your left hand. layers of fabric, as illustrated (magnified to show detail). that the stitches are evenly balanced. number, the tighter the top thread tension. See the illustrations for the correct appearance. To match this appearance, adjust the needle tension. show on the right side (Top side) of the fabric. 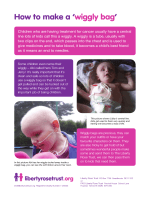 Results vary with fabric, thread and sewing conditions. pattern at the setting mark. length at the setting mark. The higher the number, the longer the stitch length. 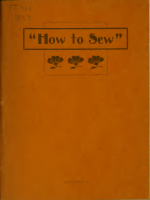 вЂќ is the recommended setting for buttonhole stitching. вЂў Set the dial at вЂњS.S.вЂќ to sew the stretch stitch patterns. the dial to the вЂњвЂ“вЂќ side. setting the dial to the вЂњ+вЂќ side. Press the reverse stitch control to sew in reverse. of the arrow, as illustrated. toward you. Feed dogs must be up for normal sewing. strike and injure your fingers. now the proper length to begin sewing the next seam. sewing. Simply use the built-in thread cutter. 15 mm, 30 mm and 40 mm. square so that sewing continues at same distance from edge. the right-hand side of pin. the left-hand side of pin. a few stitches to lock. length of the zipper sewing. z Attach zipper foot on right-side of pin. the entire length of zipper tape, removing pins as you go. clear a path for the stitch. Remove fabric and close zipper. Take the upper fabric layer and lay it flat over the zipper. to about 3/8" to 1/2" distance from the basting stitch line. in reverse a few stitches to lock. cut work or as a decorative stitch. finishing raw edges of any sewing project. the stitch should just clear the seam edge. Sew four (4) to six (6) stitches. go safely through each hole when sewing. needle through the left buttonhole. 4. Press the foot control and sew about 10 stitches. Use the same color thread as the fabric. Fold the hem, as illustrated. stitch is also excellent for darning and mending tears. the slider all the way to the back of the foot. z Set the pattern selector dial at вЂњ вЂќ. Carefully mark buttonhole length on fabric. Draw both the needle and bobbin thread to the left. the lider meets the start mark q. The scale on the slider is engraved in centimeters. buttonhole. Stop sewing at a left stitch. c Raise the needle to its highest position. then stop sewing at a right stitch. v Raise the needle to its highest position. needle reaches the back marking of the buttonhole. b Raise the needle to its highest position. pattern selector dial at straight sewing. Sew a few locking stitches. Then cut the opening with a seam ripper. Take care not to cut the stitches. a buttonhole on the edge of a thick fabric. the spur at the back of the foot. foot to hold them tight. x Draw both of needle and bobbin thread to the left. the slider meets the start mark e.
the raw edge on blankets, linens, tablecloths, napkins, etc. It is also attractive in applique. pattern with satin stitch, adjusting stitch width. into the fabric 0.1 вЂ“ 0.2 cm inside the folded edge. foot with the folded edge. Sew slowly while guiding the folded edge along the guide. Open the fabric and iron press the tucks. Fold the raw edge of the fabric at least 5/8Лќ (1.5 cm). Place lace underneath and topstitch with blind hem stitch. Trim excess fabric close to stitching. may need to increase the needle thread tension slightly. knits or soft silky woven fabrics, in any direction. stretch fabrics. Also, use when constructing items requiring extra strength such as backpacks. be overcast to prevent further raveling. stitches are made over the raw edge. childrenвЂ™s clothes or womenвЂ™s blouses. distribute the gathers evenly and secure the threads. Sew the smocking stitches between the gathered rows. a heat radiator, or in direct sunlight. Remove the screw. Remove the face plate. Push and turn the bulb counterclockwise to remove it. Push and turn the bulb clockwise to replace it. on the needle plate with the screwdriver. Remove the needle plate and take out the bobbin. x Lift up the bobbin holder and remove it. v Clean the feed dogs and hook area with a brush. b Wipe the hook race with a soft, dry cloth. You may also use a vacuum cleaner. z Insert the bobbin holder into the hook race. when threads or fabric are tangled in the hook area. area, as oil may degrade the bobbin holder. The needle thread is not threaded properly. The needle thread tension is too tight. The needle is bent or blunt. The needle is incorrectly inserted. 7. The thread is too heavy or too fine for the needle. 2. Lint has collected in the bobbin holder. 3. The bobbin is damaged and does not turn smoothly. 4. The thread is wound loosely on the bobbin. The needle clamp screw is loose. A proper foot is not used. 6. The needle is too fine for the fabric being sewn. 1. The needle thread tension is too loose. 2. The needle size is not suitable for the thread. 1. The needle is incorrectly inserted. 2. The needle is bent or blunt. 4. The needle thread is not threaded properly. 5. A poor quality needle is used. 1. The needle thread tension is too tight. 2. The needle thread is not threaded properly. 3. The needle is too heavy for the fabric being sewn. 4. The stitch length is too long for the fabric. * Use a stabilizer for very fine fabrics. The feed dog is packed with lint. The stitches are too fine. The feed dog was not raised after being lowered. The foot is worn out. Thread is caught in the hook race. The bobbin winder spindle has not been returned to the left. The presser foot is not lowered. 1. The stitch is not balanced. 1. The feed dog is packed with lint.